Science is uncertain when life begins, therefore it must be a religious question. ENCYCLOPEDIA BRITANNICA -"A new individual is created when the elements of a potent sperm merge with those of a fertile ovum, or egg." The unborn is an embryo or fetus - not a baby. Abortion is terminating a pregnancy and is not actually killing a child. Pro-choice people insist that the unborn is an "embryo." 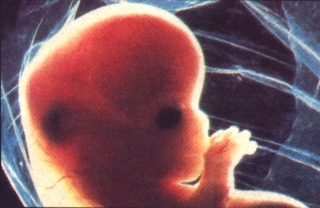 By definition, embryo means any living creature at an early stage of development. Further, they say it's not a baby; it's a "fetus." 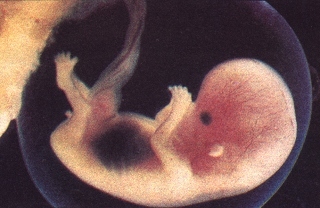 Fetus is a Latin word meaning "young one" or "little child." Abortion providers are respected medical professionals working in the woman's best interest. A former abortion clinic counselor says, "I was totally uninformed of available alternatives to abortion. I never recommended adoption or keeping the baby. I received no training in factual matters--my job was just to keep women happy and make sure they went through with an abortion." Abortion is a safe medical procedure, safer than full term pregnancy and childbirth. Researchers state, "Morbidity and mortality rates of legal abortion are several times higher than that for carrying a pregnancy to term. The immediate complication rate is no less than 10%, while long range complication rates show no less than 17%." Abortion is an easy and painless procedure. The various abortion procedures are often both difficult and painful for women. One abortion procedure, the D & C, involves the scraping of the uterus, which typically involves some bleeding and other side effects that some women find quite painful. Unwanted children usually end up being battered and abused children later on in life. A recent study showed 91% of the battered children surveyed were planned pregnancies and 90% were legitimate, according to Dr. Edward Lenoski, Professor of Pediatrics at U.S.C. Child abuse has decreased since legalized abortion. Since abortion's legalization in 1973, child abuse has increased fifteen hundred percent according to U.S. Department of Health & Human Services. Legally preventing a woman from having an abortion is an invasion of her privacy. Our laws allow police to enter the privacy of people's homes to stop them from battering and abusing their children. Now the same force of law guarantees the "privacy and rights" of parents to dismember or poison their babies before birth. Abortion relieves women of stress and responsibility and thereby enhances their psychological well-being. Post-abortion therapy and support groups with members numbering over 30,000 testify to the reality of abortion's potentially harmful psychological effects. Women's World, September 1991, reports a study of women who have had abortions in which 45% said they had thoughts of suicide following their abortion. What about a woman who's life is threatened by pregnancy or childbirth? While he was United States Surgeon General, Dr. C. Everett Koop stated publicly that in his thirty-eight years as a pediatric surgeon, he was never aware of a single situation in which a pre-born child's life had to be taken in order to save the life of the mother. The heart has been beating for more than a month, the stomach produces digestive juices and the kidneys have begun to function. Forty muscle sets begin to operate in conjunction with the nervous system. 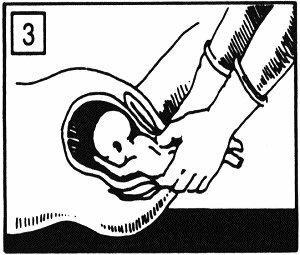 The fetus' body responds to touch, although the mother will not feel movement yet. 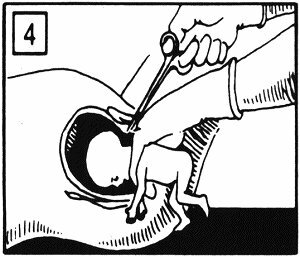 The fetus now sleeps awakens and exercises its muscles energetically-- turning its head, curling its toes, and opening and closing its mouth. The fetus breathes amniotic fluid to develop its respiratory system. Fine hair has begun to grow on head and sexual differentiation has become apparent. The world's leading geneticist, Dr. Jerome Lejeune of Paris, testified before the Louisiana House Committee on Criminal Justice June 6, 1990, that it is a proven scientific fact that human life begins at conception. He explained, that the DNA molecule is one meter long and is divided into 23 chromosomes. Each DNA molecule is incredibly thin. If the DNA of all the world's 5 billion people were placed together, it would fit on 2 aspirin tablets. Dr. Lejeune said that at the moment of fertilization the 23 chromosomes of the male sperm unite with the 23 chromosomes of the female egg, creating the new human being. He said the fertilized egg is the most complex cell in existence. It would take more than five sets of the Encyclopedia Britannica to hold the information contained in the fertilized egg. Each fertilized egg is a new human being -- unlike any person who has ever existed before or any who will ever exist again. As the egg divides, the new cells are highly differentiated. At no time is the human being a blob or a mass of undifferentiated protoplasm; Dr. Lejeune explained that there is an enormous flow of information from generation to generation -- through the DNA. In a human being's first cell the information in the DNA is surrounded by matter. But, he said, there is no such thing as "living matter" -- there is only matter. It is more correct to say that the information in the DNA animates the matter around it. Over time, the amount of matter will increase. The body of an adult human being contains a great deal of matter. But the information in a person's DNA has not changed since the moment of conception. The sleek muscles on the athlete, the propensity for music of the pianist, and the tiny hands that reach up to grandpa to say, "I love you" -- all of these things were decided at the moment of conception when a unique human being was created. Whether a person is male or female is also decided at that moment. 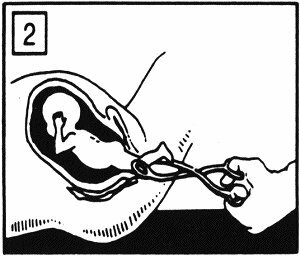 The tiny boy or girl created is every bit as human at conception as you or I -- only smaller and unable to defend his or her rights. He or she must depend on adults -- you and me -- for protection. Medical experts testified before congressional committees that it is never necessary to kill a baby who has been almost entirely delivered in order to preserve the life or health of the mother. A doctor who has performed over 1000 partial-birth abortions acknowledged that he performs them "routinely" for non-medical reasons. He said that 80% are "purely elective". A full-term pregnancy is 40 weeks. 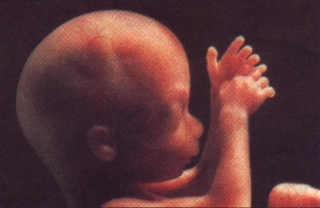 Today, at 22-23 weeks, the baby is considered viable (able to live outside the mother's womb). Each year, there are at least 17,000 abortions performed after the twenty-second week of pregnancy. Some people maintain that anesthesia given to the mother during a partial-birth abortion protects the baby from pain. However, this anesthesia has little or no effect on the baby, according to congressional testimony by the nation's leading anesthesiologists, including the President of the American Society of Anesthesiologists. Medical experts testified that babies at this age can experience great pain. Hearings on partial-birth abortion were held in the U.S. Senate on November 17, 1995 and in the U.S. House of Representatives on June 15, 1995 and March 21, 1996. The scissors are removed and a suction tube is inserted. The child's brains are sucked out, causing the skull to collapse. The dead baby is then removed. In September, 1993, Brenda Pratt Shafer, a registered nurse with eleven years of experience, was assigned by her nursing agency to an abortion clinic in Ohio. Because of her "strong pro-choice" views, Nurse Shafer did not think this assignment would be a problem. This is her story. The mother was 6 months pregnant, 26� weeks. A doctor told her that the baby had Down Syndrome, and she had to have an abortion. She decided to have this abortion. She came in the first 2 days to have the laminaria inserted and changed [to dilate the cervix], and she cried the whole time she was there. On the third day, she came in to have the partial-birth abortion procedure. The doctor brought the ultrasound in and hooked it up so that he could see the baby. On the ultrasound screen, I could see the heartbeat. As the doctor watched the baby on the ultrasound screen, the baby's heartbeat was clearly visible on the ultrasound screen. 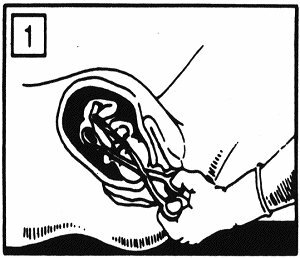 The doctor went in with forceps and grabbed the baby's legs and pulled them down into the birth canal. Then he delivered the baby's body and the arms -- everything but the head. The doctor kept the head right inside the uterus. The baby's little fingers were clasping and unclasping, and his little feet were kicking. Then the doctor stuck the scissors in the back of his head, and the baby's arms jerked out, like a startle reaction, like a flinch, like a baby does when he thinks he is going to fall. The doctor opened up the scissors, stuck a high-powered suction tube into the opening, and sucked the baby's brains out. Now the baby went completely limp. I was really completely unprepared for what I was seeing. I almost threw up as I watched the doctor doing these things. Next, the doctor delivered the baby's head. He cut the umbilical cord and delivered the placenta. He threw the baby in a pan, along with the placenta and the instruments he had just used. I saw the baby move in the pan. I asked another nurse, and she said it was just reflexes. I have been a nurse for a long time, and I have seen a lot of death -- people maimed in auto accidents, gunshot wounds, you name it. I have seen surgical procedures of every sort. But in all my professional years, I had never witnessed anything like this. The woman wanted to see her baby, so they cleaned up the baby and put it in a blanket and handed it to her. She cried the whole time. She kept saying, "I am so sorry, please forgive me." I was crying, too. I couldn't take it. That baby boy had the most perfect, angelic face I think I have ever seen in my life. I was present in the room during two more such procedures that day, but I was really in shock. I tried to pretend I was somewhere else, to not think about what was happening. I just couldn't wait to get out of there. After I left that day, I never went back. The last two procedures, by the way, involved healthy mothers with healthy babies. I was very much affected by what I saw. For a long time --and sometimes still -- I had nightmares about what I saw that day. I wish I hadn't seen what I saw. But I did see it, and I will never be able to forget it. That baby boy was only inches, seconds, away from being entirely born, when he was killed. What I saw done to that little boy, and to those other babies, should not be allowed in this country. As told to the U.S. Senate Judiciary Committee, November 17, 1995, and the U.S. House of Representatives Judiciary Committee, Subcommittee on the Constitution, March 21, 1996. Roe v. Wade Supreme Court decision that allowed abortion on demand. Adult stem cells have now successfully treated thousands of patients of more than 100 diseases. Like pro-abortion activists, the media in general don't want to hear about use of ASCs (adult stem cells) to cure paralysis, or about ASCs at all. In fact, they frequently attribute ASC breakthroughs to ESCs (embryonic stem cells).